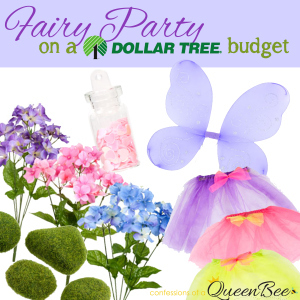 As I was working on a Fairy Garden Party post, I came across this from Confessions of a Queen Bee. So well done! I love the idea of fairy wings to dress up the chairs! I love the Dollar Tree too! So much more variety than the Family dollar. I do a lot of events and can always find what I need there. Great post. Like you graphic.